Looking for our Manager app? Click below to download the MyVendorCenter Manager app. Log in to the desktop version. Behind the best management firms. 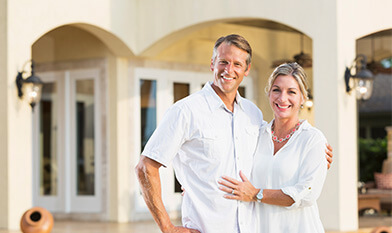 We pioneer tools for property management companies to gain an edge over their competition while protecting their company and clients. While others imitate, we innovate. More than just software for vendor compliance and project bidding - we provide solutions for smoother, more scalable business operations, oversight, and much more. MyVendorCenter is a comprehensive, premium Vendor Management system for residential and commercial property management. This customizable program offers superior flexibility and power that focuses on delivering results to improve company workflow, efficiencies, oversight, and risk management. Are you a management firm? 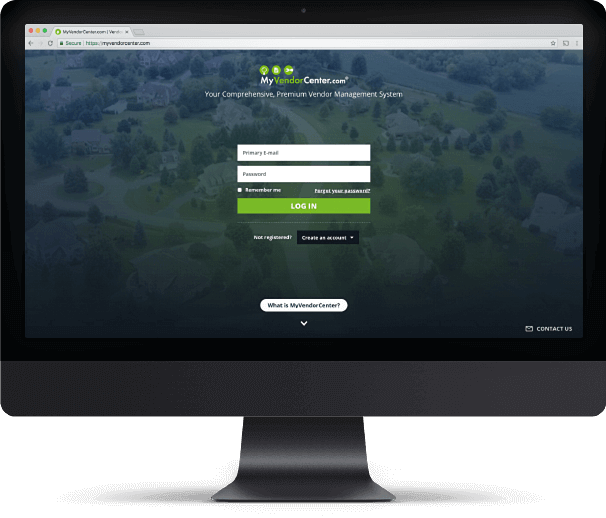 MyVendorCenter is a free, cloud-based web application that can be used anywhere you have internet - no installation needed. 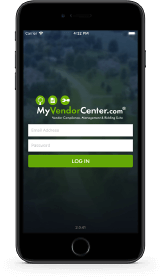 In addition, the MyVendorCenter manager app for iOS and Android ensures vendor and compliance management is always within reach. The Vendor screening process is simply too time-consuming and critical to rely on busy staff, who are often untrained in compliance, to administer without a professional solution in place. This is why we built MyVendorCenter — the best, comprehensive vendor management software available that allows Management Firms to easily implement and audit such an integral part in servicing properties. Why Would I Need More Than Risk Management?  There are mistakes your managers make that you simply cannot catch without the right systems in place, especially regarding vendor compliance. Some of the more common grievances include deviating from approved vendor lists, required compliance procedures, or even state laws. This is why it's so important for executives to have a window into their managers' activities, because using an unlicensed, uninsured or underinsured vendor could damage client relationships or put their management firm out of business - even for a small job like this company. Pegasus Management and the an Association, located in Santa Monica, CA, hired the Hruby Company to install rain gutters. Cost of installing gutters was estimated to be about $1,050 and take approx. 2 days. Hruby was found to be unlicensed and uninsured, resulting in Pegasus Management and the Association becoming dual employers of the injured employee. The injured employee pursued Pegasus Management and the Association for workers' compensation benefits. Workers' Compensation board evenly split the cost to cover the $18M Workers' Comp claim between Pegasus Management, the Association, and the Hruby Company. What Should Executives Be Doing? For a long time, it was impossible to quickly provide useful data related to vendors and projects. Manually managing this process requires too many working parts to be accurate or effective and is almost impossible to audit. And relying on one-dimensional compliance systems connected to accounting software offers little to no protection whatsoever - like putting airport security after the flight. This is why MyVendorCenter created the most powerful vendor management system for the property management industry, at no cost to you or your clients! At any time, executives can log into their accounts and oversee the activity of their staff and vendors, from bidding to contract, ensuring their managers are protecting both their company and their clients every day. You can't fix what you can't see. You can't fix what your managers aren't doing... until you can audit it. With MyVendorCenter you CAN audit it. Making informed decisions is the cornerstone to managing a successful business. Data isn't just for marketing, creating budgets and financial projections. 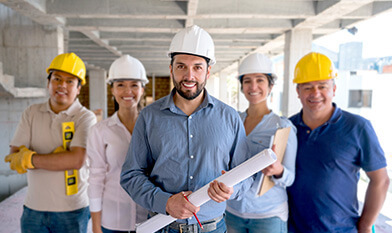 Our industry-leading automated reports provide actionable insight regarding the quality of services your Managers are providing, including projects, communications, and the vendors they are using. You no longer have to suffer the loss of a client before taking corrective measures to improve the services you offer. Client satisfaction and retention increases profitability. All trademarks, service marks, and logos appearing on the site are the property of their respective owners. Take your management firm to the next level.